Parenting our children can be one of the most rewarding and fulfilling roles we encounter in our life times. And it can also be one of the most challenging and stressful roles we experiences in our lives. The way in which we experience stress and challenge can affect the types of relationships we are able to develop with our child. As well all children come with their own unique set of challenges and desires to be in the world. 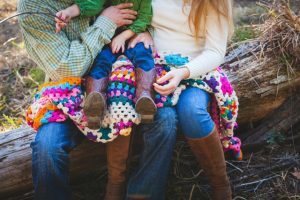 Often the parenting and child interactions can become strained if the capacity of the parents skills to manage stress are limited and the child’s challenges present limits beyond what the parent has available to support. The stress of this type of parent and child relationship and the uncertainty how to help the child can be overwhelming to a family and can affect many aspects of life daily including experiences in the family home, in school, with peer relationships and engagement in the community. 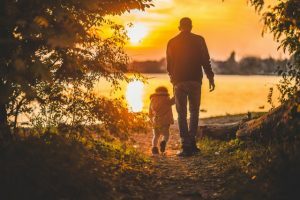 Parents with children then often struggle to find balance and a way in their lives that allows for ease and connection with their children. Mindfulness practice allows us to learn how to be more skillful, balanced and purposeful in our lives and in our relationships with our children. Recent research with mindfulness and parents has shown that mindfulness practice can improve parent stress and emotional well-being, as well it has shown improvement children’s capacity to manage their own challenges and difficulties they might encounter in life. The Mindful Parenting course is taught over four weeks, meeting 2 hours in duration each week. During the Mindful Parenting course you will learn to understand mindfulness and the practice of mindfulness that you can use with both yourself and your child to create a new way of interacting and skillful ways to engage in relationships. As well, you will learn practices to teach to your child to help them manage the stressors they experience in their lives more skillfully. These practices of mindfulness will aide you in learning new ways to manage your emotional stress as well as teach you how to address communication approaches, interaction approaches as well as behavioral concerns you experience with your child. By modeling and practicing these skills you can begin to help yourself as well as your child learn a new way of living that will you both to grow throughout your lifetimes. Please note: Mindfulness-Based Parenting is also available as a series of private sessions for individuals/families and for the staff/members of organizations.